Once in a lifetime, or something to experience again? Been there, done that? 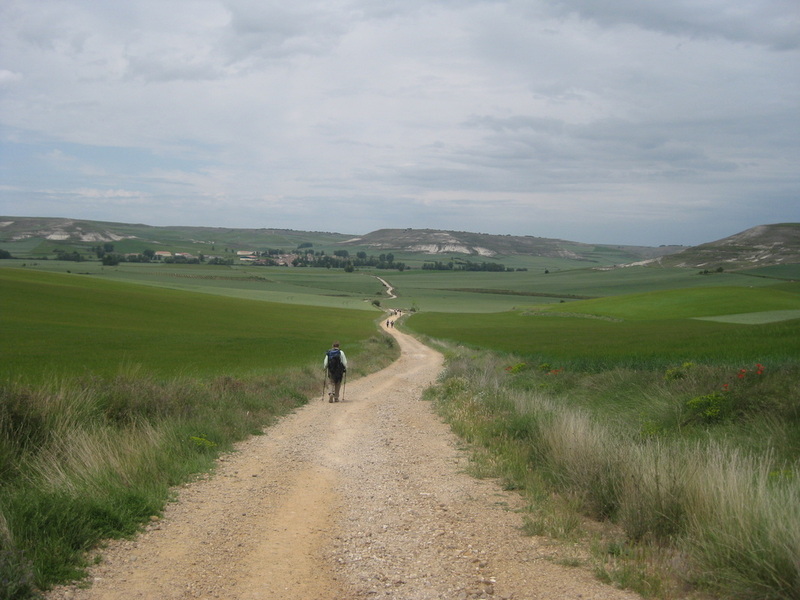 Or is the Camino something that keeps calling you back? Surely there are many people for whom walking the Camino is a once in a lifetime experience; once in a lifetime is enough for them, and they feel no need to repeat it. There are also many who, like us, keep coming back. Our 2008 Camino was our first, and we fully expected it to be our last. We even split up our route, walking part of the way in France and other part in Spain. We weren’t going to walk the whole way, and we believed that experiencing parts of it in both countries would give us more of the flavor of the whole thing. Later, we must have thought that first year rewarding, however, because the next year we decided to walk the final 200 miles, from León to Santiago. We did not walk in 2010, together with many seasoned pilgrims, avoiding the “Holy Year” and its anticipated crowds. We did stay connected by attending the annual Gathering of the American Pilgrims on the Camino, held that year in nearby Winter Park, Florida. In 2011 we realized that we were only about 250 miles short of completing the entire French route in Spain, so we did that and a bit more. In 2012 we had planned on completing more of the route in France, but following a mishap and postponement that caused us to cancel many hours laboriously expended in making reservations, we opted instead for walking part of the Via de la Plata. In 2013 we walked from Astorga to Santiago, and traveled on to Finisterre with daughter and son-in-law, after trying something completely different (see below). We’ve written a novel set on the Camino, we’ve developed this website, and by all objective measures, we appear to be hooked. 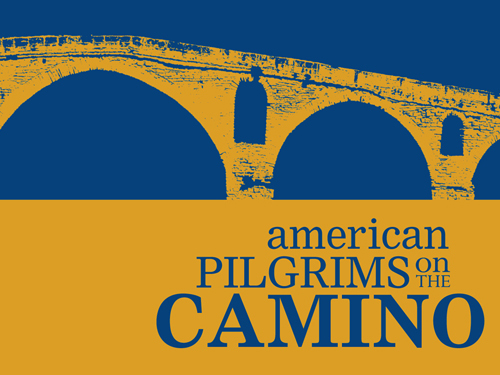 More than a few people are hooked on the Camino, and if you are looking for lots and lots of them, look into the American Pilgrims on the Camino organization. With over 2,000 mostly hooked members and 41 chapters around the country, this active organization provides much valuable information and services, trains and provides volunteer innkeepers for albergues on the Camino, gives financial support to help provide or improve needed infrastructure on the Camino, publishes informative newsletters, and offers annual gatherings that rotate to different parts of the country. 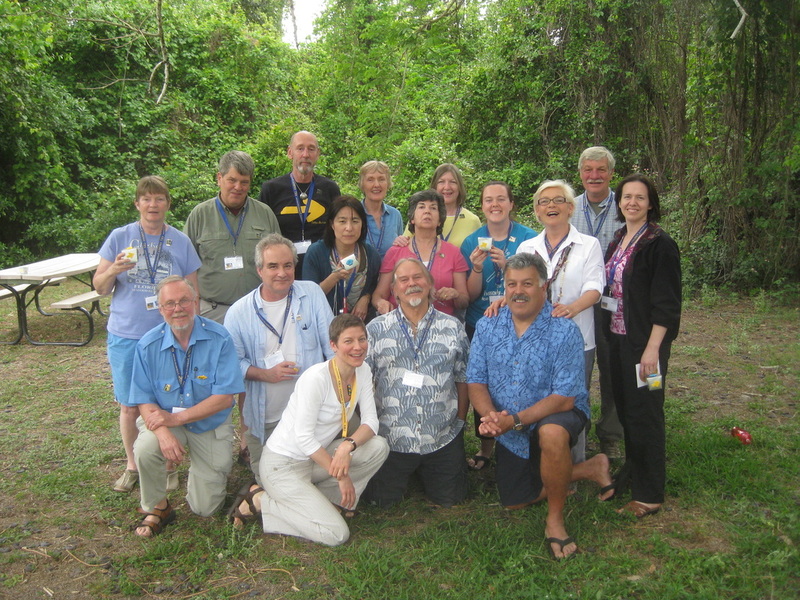 A growing number of formal chapters and informal subgroups sponsor regional gatherings. We have joined with other pilgrims through informal contacts and through participants in our community education courses at our local Santa Fe college, and we’ve hosted local gatherings at our home. 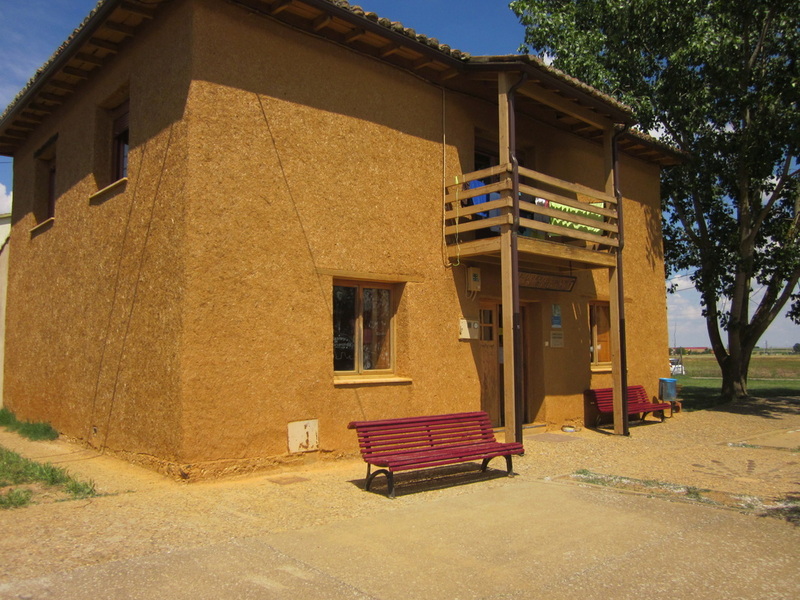 During the first two weeks in May 2013 we served as voluntary innkeepers (hospitaleros) at Albergue Domenico Laffi in the village of El Burgo Ranero (The Town of Frogs), about 20 miles east of León. The establishment is a member of a federation of albergues that works with the American Pilgrims and similar organizations in other countries to staff the inns with volunteers. All of the sponsored albergues are donativo—that is they don’t charge a set fee, but instead rely on pilgrims to donate what they can, and what they think the services are worth. 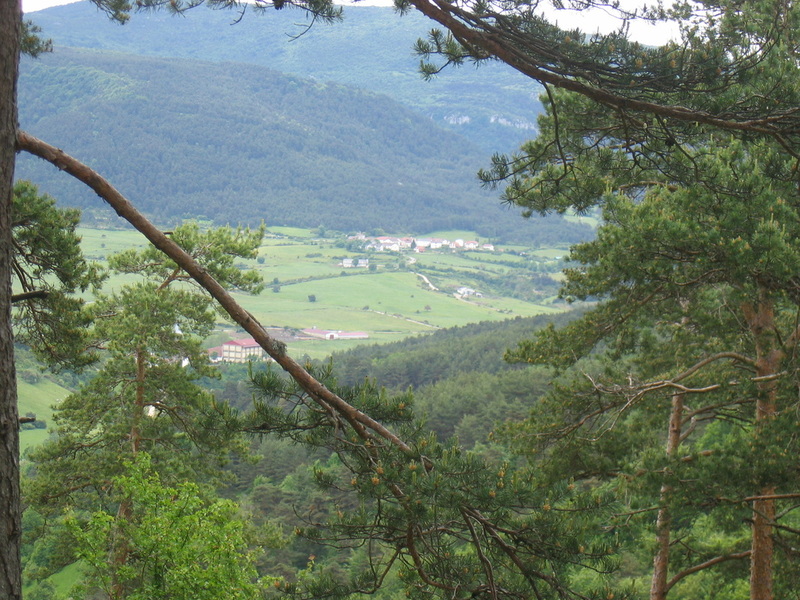 Most albergues have rules, of which two are the most important: you must arrive on foot (or bicycle or on horseback), and you can stay only one night. We took hospitalero training in 2012 and were responsible for a facility with 14 bunk beds distributed among four rooms, kitchen, common room, and of course, showers and restrooms. We weren’t expected to provide meals, but with our guests sometimes cooperated in preparing common meals. In addition to cleaning and otherwise caring for the facility, we were expected to provide a nightly inspirational visit to the local wetland at sunset. The hours were long, the unheated building cold, and the responsibility for so many people (448 in 16 days, representing 33 different nations) more of a challenge than we expected. 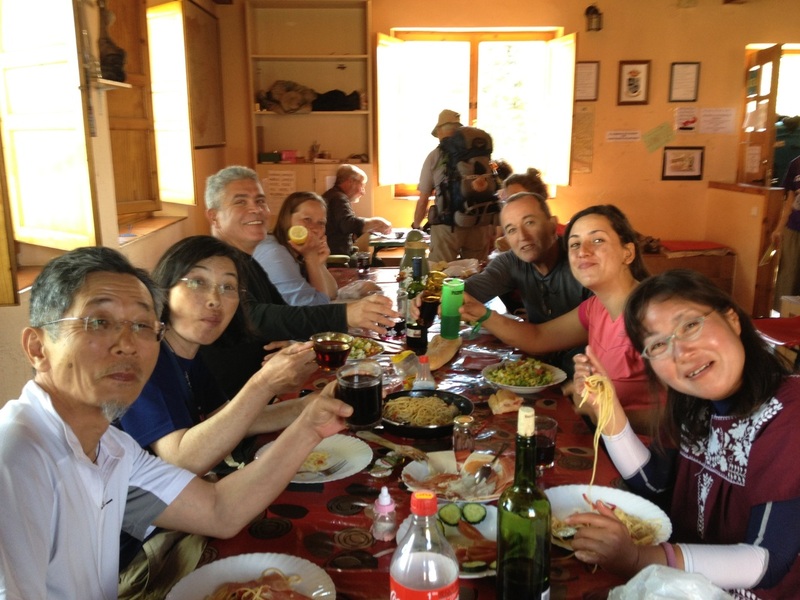 Nevertheless, it was a completely different way of experiencing the Camino, and we had many pleasurable and rewarding interactions with our guests. We've not yet decided whether we'll do it again, but we have no regrets about having done it this one time. Other people we know have volunteered more than once, some returning to the same albergue year after year, and others opting to serve at several different ones. No two are alike, and some are quite different from the others, so a wide range of experiences is possible. If you are interested in becoming a hospitalero after you've finished your first Camino (having finished is a prerequisite), you can learn about taking the training on the American Pilgrims website. Dinnertime in the albergue. Russ is signing in a guest in the background, while Peg is celebrating with cheerful and friendly pilgrims.